heading back, inland , towards the Anza Borrego desert. Our family and friends, Roel and Ineke were on their way towards Palm Desert, and we planned to meet them there. We headed to the Tamarisk Grove campground in the park. The Anza Borrego park is the largest state park in California. 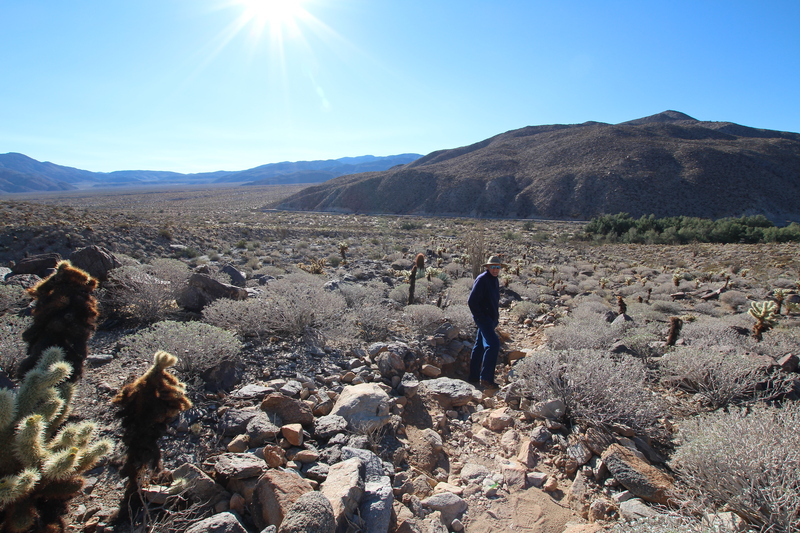 It contains 500 miles of dirt roads, has 12 wilderness areas to explore, and miles and miles of hiking trails. The park is named after the Spanish explorer Juan Bautista de Anza. The spanish name Borrego means bighorn sheep. Here the desert is truly wild, and very, very dry. 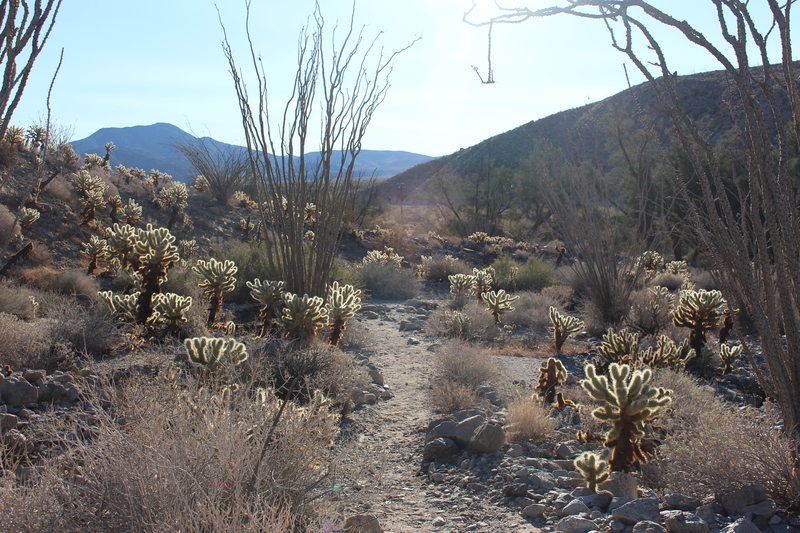 Across our campsite were two hiking trails, the Yaqui well trail and the cactus loop trail. We hiked the second one, it wound up the hill side, so we could overlook the area and the campsite down below. One of the many strange plants growing here, is the Chuparosa, also called the hummingbird bush, when it blooms , it has long red flowers, the little hummingbirds just love them, both the Anna’s and the smaller Costa’s hummingbird live here year round. This park is known for flash floods, some years though, it receives less then two inches of rain !!! I tried to find some evidence of coyotes as a large pack of them howled most of the night, close to us. 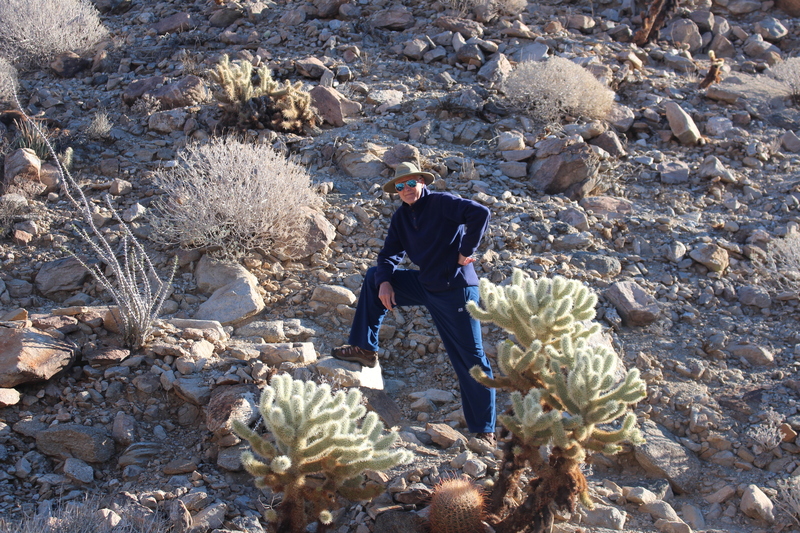 It truly is a magical place, this desert, and i would really like to go back sometime, when the cacti bloom. The road down below, and the campsite, nestled among the Tamarisk trees.